I typically begin each GRAND Social link party with a little blurb on something or another. I started that with this post — expressing thoughts on the horrible shooting at the Florida high school — but that blurb grew into a full-blow blog post in its own right. So I made it just that and share it here. I do hope you'll click over to read it: A plumber's daughter on shootings, guns, and mental illness. On a much lighter note, thank you for participating in this week's GRAND Social link party — the longest running linky for grandparent bloggers and readers. 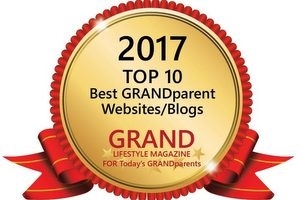 Dear readers: This guest post was written by Kay and Leslie of GrandparentsLink, my fellow members in the GRANDparent Network. Considering the lack of kindness and compassion across our country the last far too many months thanks to the hostile political climate and anxiety following the election, the wisdom Kay and Leslie offer here is particularly worthy of reading, sharing, putting into practice. New grandma on the blogging block! So my standard reply is this: Visit this site and this site and you will gain all the knowledge you need to get started. 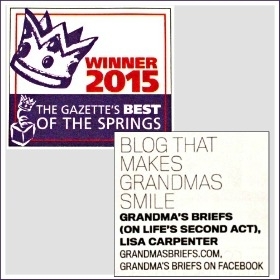 Those are the sites that were instrumental in providing exactly what I needed to launch Grandma's Briefs. I very rarely hear back from those who ask for direction. A few days ago, though, I did. A grandma named Judy — a grandmother of 10, my friends — emailed me in September asking how to go about blogging. I gave her my suggestions on sites. She emailed me Friday to say, "I did it! Come take a look!" My Disney Grand Adventure wasn't only about experiencing the sights and sounds, thrills, chills, and spills of Walt Disney World with my daughter and grandsons. No, it was about work. My work as a member of the media. I was joined on the work portion of the adventure — if you can call touring Walt Disney World resorts work — by a great group of gals. I spent nearly as much time with my media co-adventurers as I did my family, and I couldn't have been included with a better bunch of bloggers, writers, media mavens. They were funny, generous, interesting, inspiring, supportive, worth getting to know, worth following. I'd like to introduce them to you. BlogHer '13 offered multiple and myriad sessions for gleaning new tips and tricks for the business of posting and publishing. I learned much beyond nitty gritty techniques to add to my blogging toolbox, though, things such as the following. 1. Don't be afraid to look foolish. BlogHer sponsors offer plenty of opportunities to look like a fool. I say "Do it!" Once you've donned fisherman gear or kicked back on a mattress in the center of a crowded conference hall, there's nothing else to fear others might see you do. 2. The coolest swag comes from unexpected places. Brands offer more than ways to look foolish. They hand out piles and piles of goodies (so much so that yes, the second suitcase is a necessity for the trip home). While the big brands hand out must-have items, I found my favorite to be from a pest control company. Yes, you read that right. Pest-control company Rescue! gave out mini kaleidoscopes. I love kaleidoscopes. 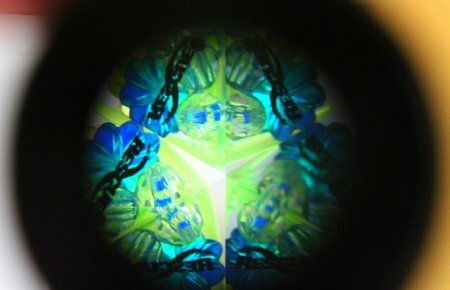 Kaleidoscopes are cool. 3. Brands are becoming more receptive to the baby boomer demographic. Speaking of brands, I was impressed by the number of brands who seemed sincerely excited about partnering with me — a baby boomer, empty-nester, grandma blogger. The most enthusiastic responses came from Manilla.com, FoodSaver, Bernina (at a non-BlogHer event), Serta, Chuck E. Cheese's, Cosmo Camp (also at a non-BlogHer event) and the reps for the National Restaurant Association's Kids Live Well program, to name just a few. 4. Lean Cuisine rocks frozen meals in unexpected ways. Still speaking of brands, I was invited to a luncheon sponsored by Lean Cuisine in celebration and promotion of their new line, Honestly Good. All I can say is Wow! And Yum! I'll say more later in a longer post specifically about Lean Cuisine's incredible chefs (real chefs, restaurant-owning chefs!) and dedication to fresh and healthy ingredients. It was an impressive luncheon accompanied by an informative — and tasty — presentation. 6. The best sessions have little to do with blogging and brands. Time with friends provided the most memorable moments. 7. Don't be afraid to go it alone. I chose to arrive late to breakfast one day and was a bit anxious about taking the shuttle without my friends and arriving late to the conference hall by myself. Going it alone, though, turned out to be unexpectedly rewarding when my shuttle seat mate turned out to be among the most enjoyable of women I met all weekend. Karen Malone Wright and I talked all the way to the conference hall, and we shared a breakfast table. We then ran into one another again at a party the next night, where Karen proceeded to be forever in my favor thanks to her gushing about how much I looked like Andie McDowell in Groundhog Day. How could I not forever appreciate such flattery? 8. The BlogHer Voice of the Year signs cost more to ship home than it would to make your own. The late-night antics that led to that realization? Priceless and memorable — and unmentionable in a public forum. 9. I want to be Tracy Beckerman. With her syndicated column running in 400 weekly community newspapers and her book, Lost in Suburbia: A Momoir, climbing the charts, what freelance writer and blogger wouldn't want to be Tracy Beckerman? Alas, I settled for her session on syndicating your work — one of my favorite sessions of BlogHer '13, in which Tracy explained how to be just like her. Stayed tuned for my transformation. 10. Conferences — and life! — are so much better when enjoyed with friends. Especially when those friends are (left to right) Jane Gassner, Sandra Sallin, Cathy Chester, Connie McLeod, Ruth Curran, Lois Alter Mark, Helene Cohen Bludman and Janie Emaus, all of whom — along with every other #GenFab member I hugged while there — made my BlogHer '13 experience so much more delightful than I ever hoped it might be. Happy birthday to Mr. Cocker! Happy GRAND Social to my friends! Cheers and thank you for joining me. My fellow #GenerationFabulous friends are participating in a blog hop today. This closed Facebook group of truly fabulous women runs a blog hop each month, which usually ends up—in some manifestation—as a feature on Huffington Post. I participated in the first #GenFab blog hop, which carried the theme of "What would you tell your 20-year-old self." This time around it's all about celebrity crushes. I don't have any. Didn't really have any, at least not of any post-worthy proportion. Not as an adolescent. Not as a teen. Not as a young mother, old mother, grandmother. I could have made such a declaration into a full-blown post, but each time I considered such, I thought, "Why should I post a post saying I have nothing to post?" How boring that might be for all of us. So I'm not participating this time. Many of the lovely ladies of our #GenerationFabulous group did and do have crushes, though, and they did participate. linking up their posts en masse. Please take some time—after participating in the GRAND Social below, of course—to check out the crushing good posts of my fellow #GenFab friends. Two of the many places you'll find it is on Grilled Grandma Caryn's blog and the blog of regular Grandma's Briefs commenter Ginger Kay. First things first, er, second, I guess, and that would be what's going down here: the GRAND Social link party for grandparents. Thank you for linking up your posts if you're a blogger, and for reading the posts of others whether you're a blogger or not. I'm grateful for your participation and the grand thoughts you share. Enjoy! Posts shared can be an old one or a recent one, your choice. To link up, copy the direct link to the specific post you want to share, not the link to your blog's home page. Then click the blue "Click here to enter" text below and follow the directions to add your post to the list. You can add up to three posts, but no duplicates, please, and none you have promoted on a previous GRAND Social linky. No contests, giveaways, or Etsy sites, please. 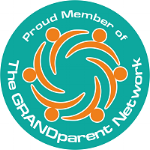 Looking for another grandparent linky? Be sure to visit Connie's Grandparent's Say It Saturday Link Party each Saturday (open to links through Monday nights). If you're not a blogger, you have the pleasure of being a reader. All bloggers who link up would be honored to have you—bloggers and readers—click, visit, read and comment. READERS and PARTICIPATING BLOGGERS: Please visit the posts others have linked to by clicking on the thumbnail photos. Comments are always appreciated by the bloggers whose links you visit, even if it's simply "Hey, stopping by from GRAND Social." Come vent, whine, give kudos—to others or yourself—or anything your heart desires today. It's been a rough week. Now is the time and consider this the safe place to share whatever you choose for our Friday free-for-all. • I wish arranged marriages were still socially acceptable. That wish has nothing to do with my son-in-law Preston. Or any other official boyfriend of my daughters. • I also wish I were more committed to exercising. I was pretty embarrassed to let myself see myself in the full-length mirror at JCPenney the other day. I either need to willingly exercise more often or install a full-length mirror near my shower to shame myself into doing it. Or both. • I'm so incredibly grateful for friends whom I've never met in person yet have helped me secure (paying) writing and editing gigs. Thank you, Lisa, Mary Dell, and Carol. • I'm still praying my grandsons fully recover from the crud. Bubby's cough—but hopefully not the flu—has returned and now he's doing breathing treatments, too. • I'm also still praying for our fellow grandma Kelley, whose three new grandbabies were recently diagnosed with RSV. Everyone here is welcome to send prayers and positive thoughts her way, too. There you have it. I feel better already. It's always nice to get things off your chest. Now it's your turn! What's on your mind/heart/chest today? Before I die I want to ______________.